For patients with missing teeth, simple things like eating, speaking, and even smiling can start to feel uncomfortable and even painful. 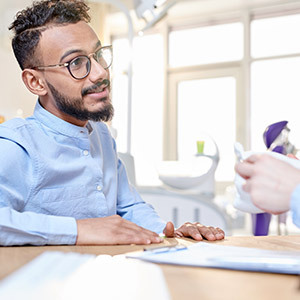 Filling in any gaps in your smile is not only important for your oral health and appearance, but your overall wellbeing, too, as missing teeth can lead to a limited diet and nutritional deficiencies. 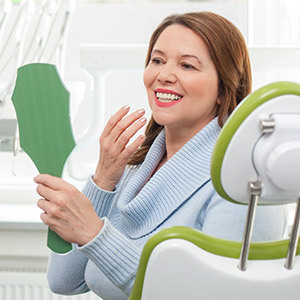 At Jacksonville Complete Dentistry, we have a variety of solutions that can help patients get their bite and confidence back at the same time using strong and natural-looking restorations. To learn more about how we can rebuild your smile, contact us today. Why Choose Jacksonville Complete Dentistry for Tooth Replacement? For most patients, untreated tooth loss only tends to lead to more problems and even additional tooth loss. The remaining teeth will likely start to shift into the open gaps, causing the bite to misalign, which can lead to pain in the jaw and facial muscles. Patients with missing teeth are also much more susceptible to developing gum disease, which itself is the number one cause of adult tooth loss in the US. Fortunately, this chain reaction can easily be stopped simply by restoring your teeth here at JCD. But what if you have true gaps in your smile? A high-quality bridge may be capable of filling them in. 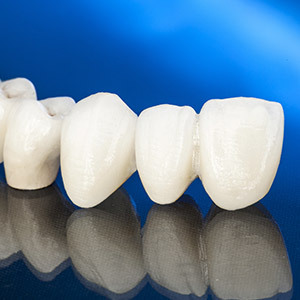 Bridges work best when they replace teeth that appear next to one another; dental crowns are fitted over healthy teeth on either side of the gap, and the restoration literally “bridges” the gap between them for a fixed and sturdy result. A bridge will keep your remaining teeth from shifting out of place, and it will restore plenty of power to your bite as well. When you’ve lost several teeth or even an entire row, your life can be dramatically affected. Suddenly, you’re no longer able to enjoy favorite foods that require too much chewing, and you can’t smile and laugh with friends because of the embarrassment. Thankfully, our doctors believe that it’s never too late to regain a full and functional smile you can rely on. 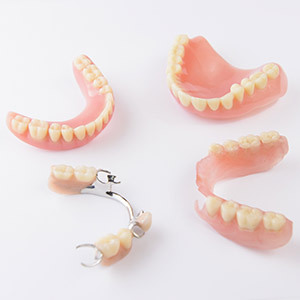 We offer several denture options, including traditional prosthetics that are fully removable for ease of use and more permanent implant-retained models. 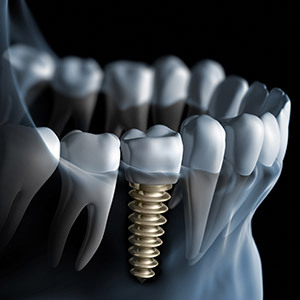 Dental implants are the most complete tooth replacement solution available today, as they are the only treatment that brings back both the root and crown of a tooth. The end result is the next best thing to a real tooth, and they can be trusted to last for about 30 years or more. And, thanks to our team’s advanced training, we’re one of the few dental offices that can complete the entire implant procedure in-house, helping patients reclaim their smiles as quickly and efficiently as possible.